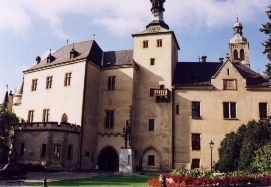 The Italian Court (the 13th/14th century). 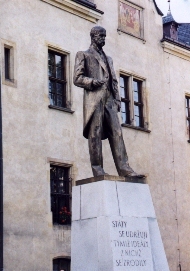 Monument of the President T.G.Masaryk. 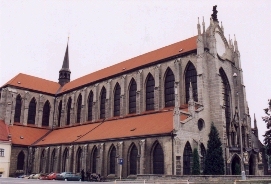 St. Jacob's. 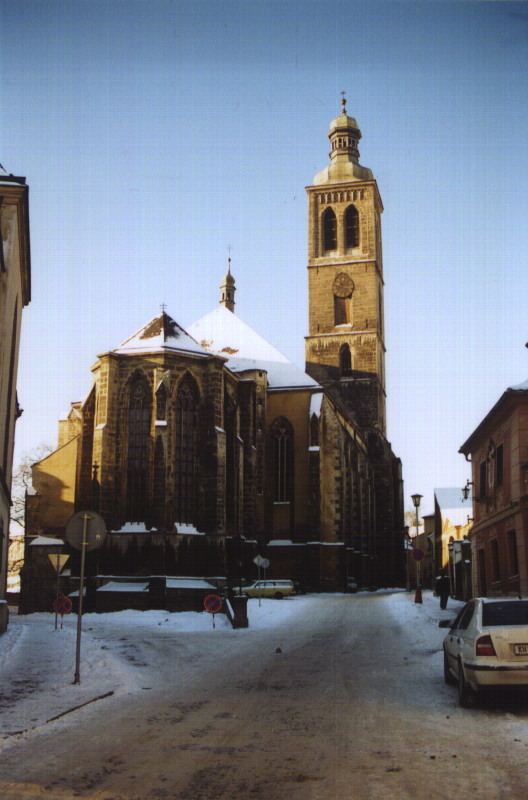 Established as the town's main parish church and consecrated to the miner's patron St. Jacob the Bigger at the beginning of the 14th century. View from the Ruthard Lane. 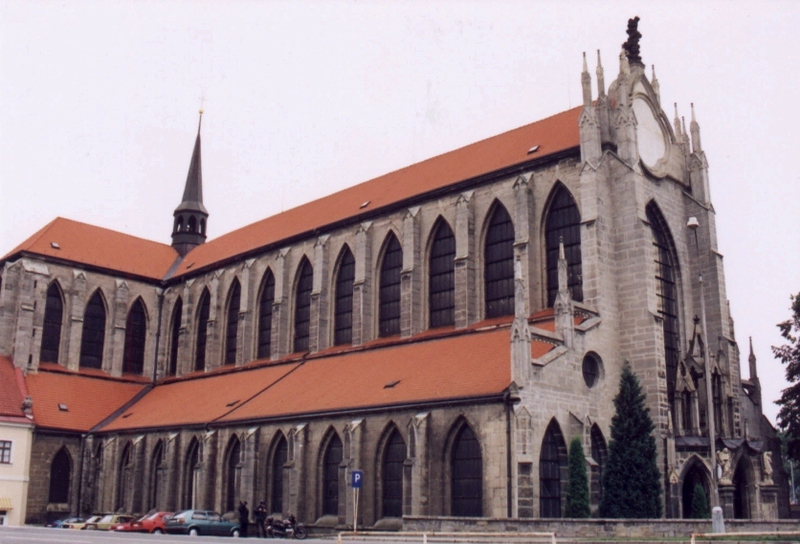 South-eastern part of the St.Barbara Cathedral. 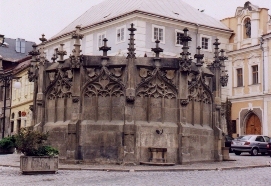 Southern chapels of the Cathedral. 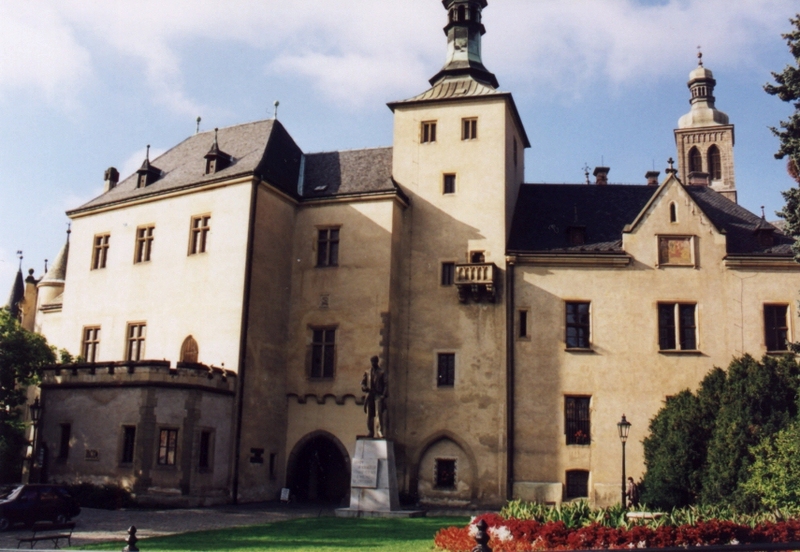 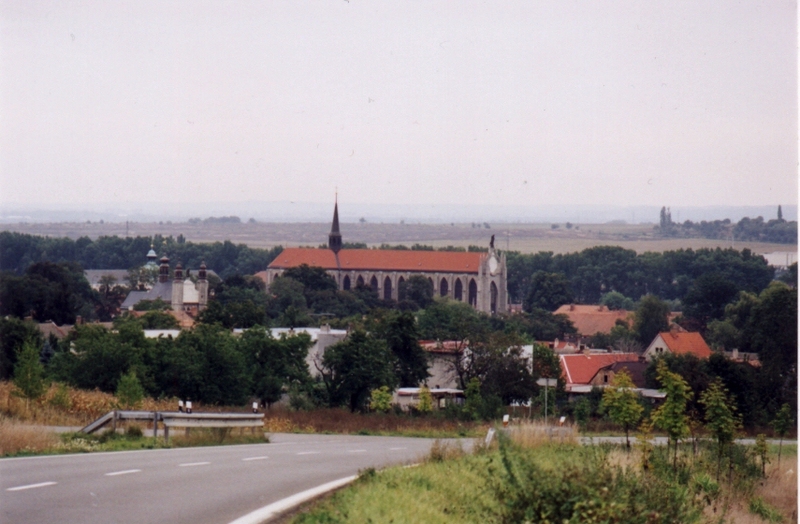 The Cistercian Monastery of Sedlec (established 1142) and the Ossary (on the left). 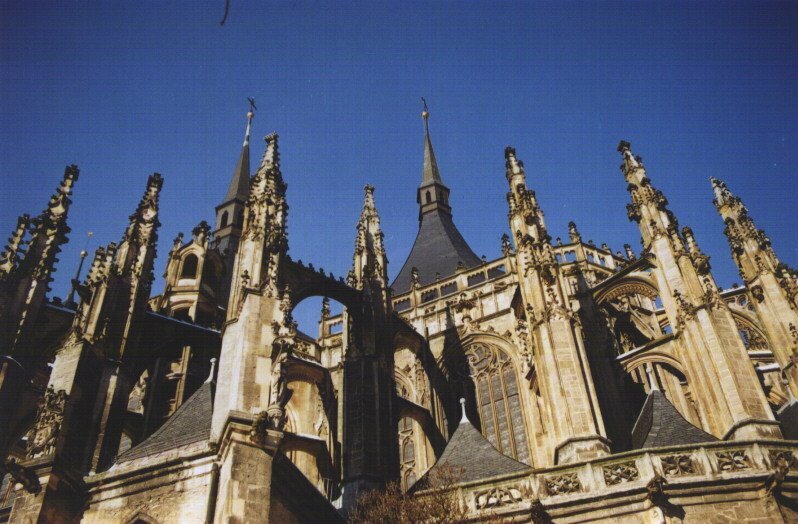 According to local legend Antonin a Cistercian monk found silver deposits there. 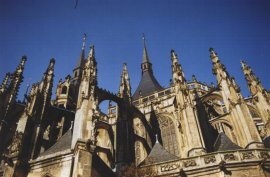 The Assumption of Holy Virgin's Cathedral of the Sedlec Monastery. 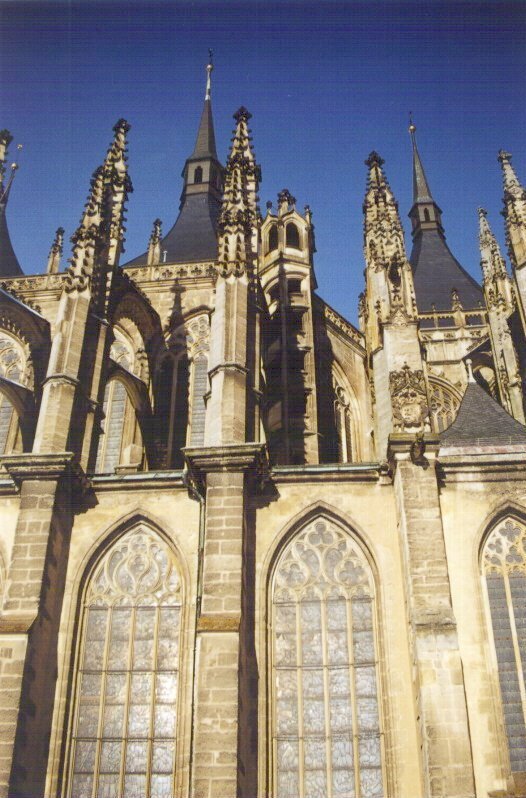 Built 1283-1300 as the biggest cathedral in Bohemia of the time. 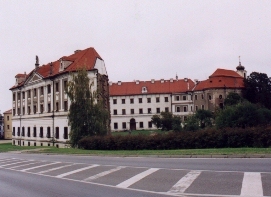 The Monastery of the Ursuline Order (the 18th century). 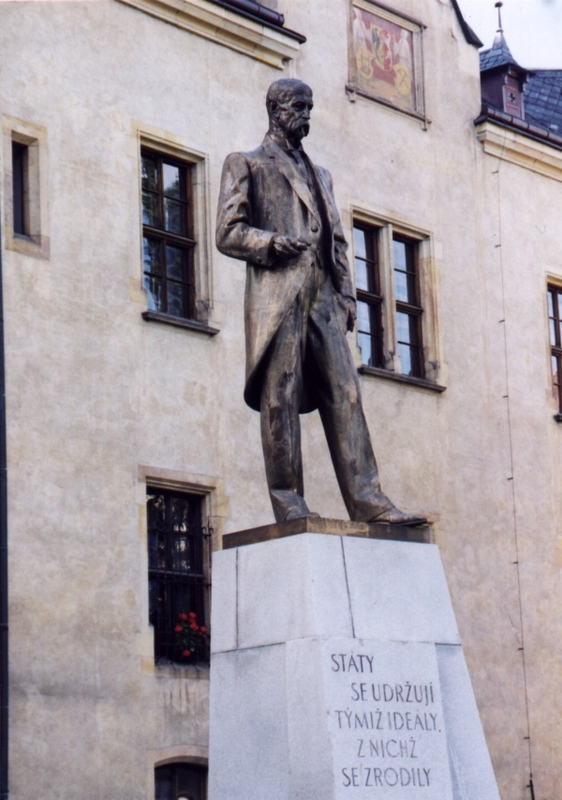 The Square of Frantisek Palacky (the Czech Revivalist of the 19th century). 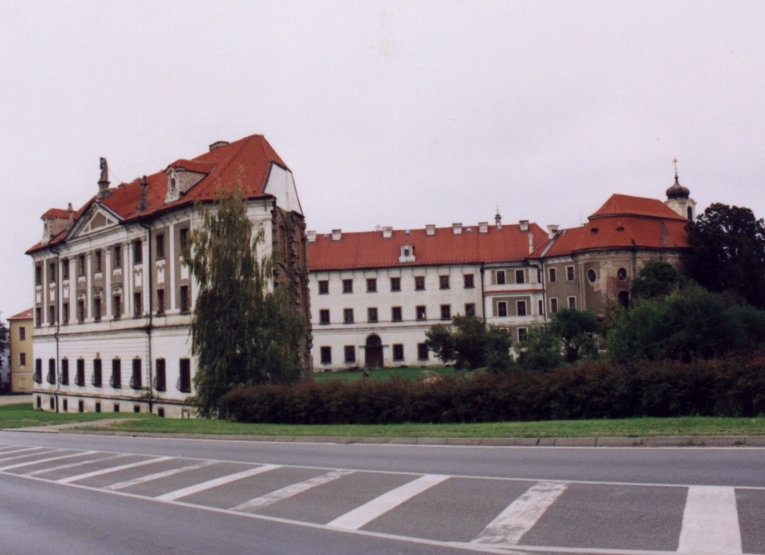 Pictures of the St.Barbara's and of the Jesuit College here . 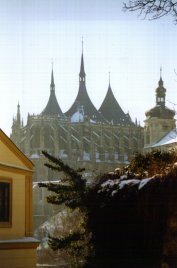 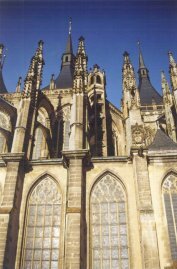 Local webpages and other pictures of Kutna Hora here . 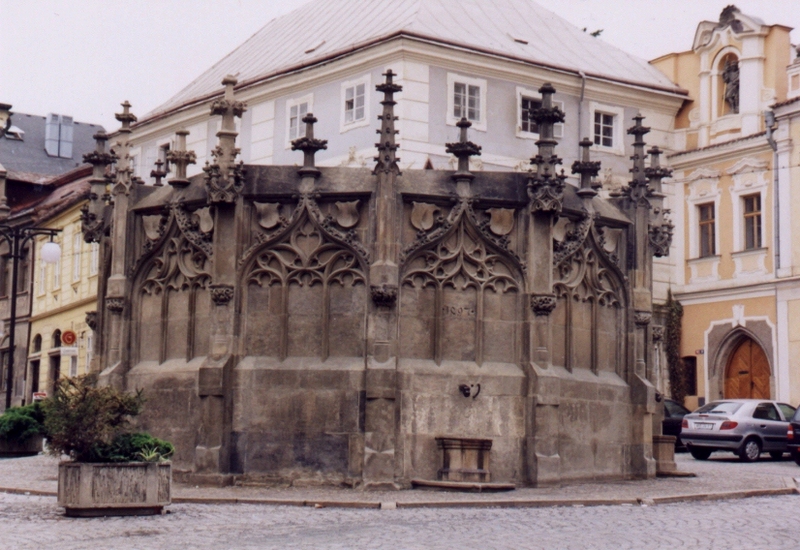 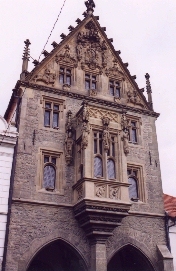 The Club of the Natives and Friends of Kutna Hora .